Benzoyl peroxide, (BP), is an organic compound from the peroxide family. It's found in many products for clearing acne. There's controversy around using BP, so I'll cut through the confusion and give you the facts. BP breaks down in contact with skin, producing benzoic acid and oxygen. It's a peeling agent, turning over skin, clearing pores and has anti-microbial properties that combat bacteria. BP is found in many solutions for clearing acne. 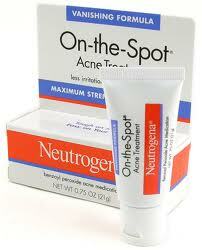 It's the most widely used over the counter acne treatment in the USA. BP is inexpensive to manufacture and market. The concentration of BP, the frequency of application and the duration of use all determines the potential for skin damage. -- Typical BP concentrations, over the counter or prescribed, in USA is from 2.5% to 10%. -- Short term use of BP, in USA, is used to treat mild acne but long term use has potential to damage skin. -- Long term use causes skin to appear pre-maturely aged. Skin will have the same affects as being unprotected by prolonged sun exposure. -- Repeated use of BP generates free radicals; damaging skin structure and cellular DNA. -- Skin develops a tolerance to BP after using for approximately one week. -- The International Agency for Research on Cancer, (IARC), concluded "there is inadequate evidence for the carcinogenicity of benzoyl peroxide." In other words, BP is not labeled as being carcinogenic, it's carcinogenicity is labeled as being unknown. -- The Food and Drug Administration, (FDA), currently list BP as a "category 111" substance, (meaning safety uncertain). BP was changed from a "category 1", (meaning safe), to a category 111, back in 1995. Although the carcinogenic safety concerns are labeled as "uncertain", the FDA has not recommended discontinued use in medications. -- The FDA is currently calling for additional research of BP's carcinogenic potential. This research is currently being conducted. -- FDA gave manufacturers the responsibility of providing consumers with BP information, so they could make educated decisions. Most manufactures and product marketers DO NOT provide the possible potential dangers of benzoyl peroxide to consumers. -- Acne BP preparations can contain various other chemicals including: Triethanolamine, Disopropanolamine and Glycolic Acid. Triethanolamine can form carcinogenic nitrosamine compounds on skin or in the body after absorption. This compound can cause allergic dermatitis and asthma attacks. Disopropanolamine can release nitrosamine compounds. Glycolic acid causes photo sensitivity and may be toxic to the kidneys, nervous and gastrointestinal systems. -- A 1981 Journal of Science study states, "caution should be recommended in the use of this and other free radical-generating compounds". -- Currently, there is no definitive link between BP and skin cancer in humans. Studies found no increase risk of skin cancer in people who used BP for acne treatment. There are natural foods/drinks you can use at home for clearing acne, diminishing acne scars, reducing redness and inflammation. Honey, oatmeal, lemon juice, cinnamon, water and goats milk are all beneficial. Benefits of Honey: Absorb dirt and impurities from pores. Antimicrobial. Speed healing, Reduce acne scars. Anti-inflammatory. Benefits of Oatmeal: Gently exfoliates. Removes dirt and impurities. Soothes. Non-irritating. Restores moisture balance. Benefits of Lemon Juice: Contains antioxidants. Antiseptic, Antibacterial, Astringent. Reduce oily complexion. Benefits of Cinnamon: Draws nutrients and oxygen to skin. Stimulates blood circulation. Antibacterial, Anti-inflammatory, Astringent. Benefits of Drinking Water: Purge toxins. Hydrate. Replenish skin tissue. Increase elasticity. Improve blood circulation. Benefits of Goats Milk: Leave skin close to natural pH. Moisturize. Anti-aging. Gentle and soothing. Non-aggravating. Boost collagen. -- HONEY & OATMEAL HOMEMADE FACE MASK: Mix organic honey with equal amount of ground oatmeal. Gently apply to face. Let stand for approx. 25 minutes. Rinse with water. Gently pat dry. -- OATMEAL HOMEMADE FACE MASK: Blend 6 tablespoons unflavored dry oatmeal to a fine powder. Slowly add water for a smooth pasty texture. Apply mixture to face. Let dry. Rinse with cool water. Gently pat dry. -- LEMON JUICE RECIPE: Rub "diluted" lemon juice over blackheads at night then fine with cool water in the morning. Add a gentle moisturizer after rinse. 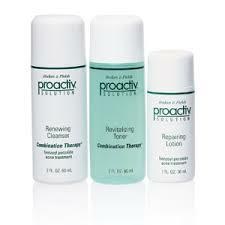 Follow this regiment, daily, to eliminate blackheads and prevent future break-outs. LEMON JUICE CAUTIONS: Mildly acidic. It can sting when applied to skin. Dilute juice with water then apply with a cotton ball. Can cause photosensitivity, allowing skin to burn easier. Apply diluted juice at night to avoid UV daylight rays. Can cause dryness. After use, add a gentle moisturizer. Those with citrus allergies or sensitive skin should avoid using lemon juice. -- CINNAMON RECIPE: Dilute 1 or 2 drops of cinnamon oil with water. Dab on pimples. Rinse with water. Pat dry. Continue regularly, once a day. Some have seen pimples fade within 10 days! CINNAMON CAUTIONS: Never use cinnamon or cinnamon oil directly on skin. CINNAMON MUST ALWAYS BE DILUTED! Cinnamon can cause severe burns, blisters, redness or other skin irritation. Never use on sensitive skin. -- BENEFITS OF DRINKING WATER: Purge toxins from skin. Acne may seem to be worsening at first, but this condition is only temporary. Acne break-outs will be less likely to occur once toxins are purged from skin. -- NATURAL GOAT MILK SOAP: Vitamins A, B, C, D, E and K! Handmade with natural acne fighting ingredients. Moisturize, soothe, gently clean, exfoliate. Fragrance or unscented. Instead of using acne solutions with benzoyl peroxide, consider trying homemade recipes with, natural, acne fighting properties. OTHER NATURAL ALTERNATIVES TO BP: Melaleuca Oil or Calendula Oil. -- BP will stain fabric, permanently, dampening color. -- BP will, permanently, dampen hair color.